Back in February, Intel released its first SandForce based SSD: the Intel SSD 520. Since then Intel's SSD lineup has evolved. 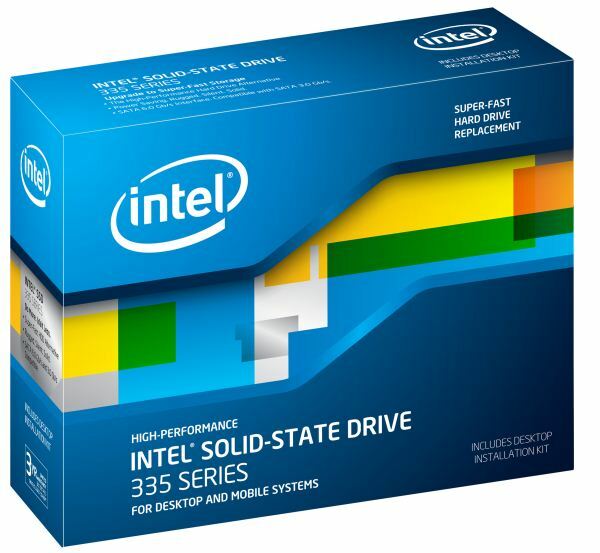 A couple of months after the 520's release, Intel released a more mainstream focused SSD 330. Architecturally the SSD 520 and 330 were the same as both used SandForce's SF-2281 controller and IMFT's MLC NAND. The only real differences were limited to NAND quality and firmware; the 520 used higher binned NAND with more P/E cycles and its firmware was also more finely tuned to provide better performance. While SandForce has yet to release its 3rd generation SSD controller, there's still room to upgrade one major component of these drives: the NAND itself. IMFT (Intel's and Micron's NAND joint-venture) has been fairly open about its next generation NAND products, including the transition to 20nm MLC NAND. Moving to smaller process geometries decreases die area, which increases the number of NAND die that can be produced on a single wafer (or increases the capacity that can reliably be produced on a single die). The move to 20nm is a necessary part of continuing to drive SSD costs down, although as with all process transitions we won't see those cost savings initially (die savings are offset by higher costs of a new process at the start). IMFT's 20nm announcement happened back in April 2011. At the time, we were told not to expect to see 64Gb 20nm MLC NAND devices in SSDs until the middle of 2012. Now, a year and a half later, production is finally at a stage where volume and yields are both high enough for an actual product release. The vehicle for introduction? Intel's SSD 335. At first, the SSD 335 will only be available in a 240GB capacity. I suspect that this has to do with 20nm NAND yields and volumes; it's a new process, yields are obviously lower and Intel hasn't had time to build an enormous stock yet. By only releasing a 240GB model at this point, which Intel tells us is the most popular capacity, it makes sure the 240GB model should be available in sufficient volume for the holiday market. If Intel had released all capacities simultaneously, it's possible that some capacities would have ran out of stock quickly. Intel likely still has a decent stock of 25nm NAND, so the 330 will stick around for at least a few months while the 335 ramps up additional capacities. The Intel SSD 520 will still be available as well, although I'm hearing that its successor is coming soon. In terms of performance, the SSD 330 and SSD 335 are similar. This isn't shocking given that they are both based on the same controller and the only difference is the move from 25nm to 20nm MLC NAND. We aren't going to see any significant improvements in SandForce based SSDs until the third generation (SF-3000) controllers become available, which should be some time next year. There have of course been minor modifications to the firmware to support 20nm MLC NAND. Similar to the SSD 330, the SSD 335 comes with a desktop installation kit including a 2.5" to 3.5" adapter, SATA cable and a Molex to SATA power adapter. Intel's target with the SSD 330 was to bring an affordable drive to the market and the SSD 335 continues this trend. Suggested retail price of $184 for a 240GB drive is very competitive and there aren't many drives that can beat that at the moment. Update: The 240GB SSD 335 is already available in NewEgg for $210, which is unfortunately over $20 more than what the MSRP suggested. Intel's 20nm MLC NAND is mostly the same as its 25nm MLC NAND. We are still looking at 8GB per die with an 8KB page size, although Intel does have a 16GB die in development which will also increase the page size to 16KB. Since the key aspects are the same, there haven't been any dramatic changes to performance. Intel wouldn't provide us with any specific numbers but program latency is the same and erase time is slightly longer than its 25nm MLC NAND. The advantage of offloading the ECC from the controller is that now ECC can be updated along with NAND without the need for a new controller. ECC is strictly implemented in hardware, which means a firmware update doesn't help; you will need a new physical controller to update ECC. As we move to smaller process nodes, the need for ECC increases as the error rate goes up. With more error prone NAND, it becomes even more important to decouple ECC generations from the host controller since the same controller can be used for more than one NAND generation. In the Intel SSD 335, ECC is still handled by the SF-2281 controller but in theory, manufacturers using Intel NAND could implement a third party off-chip ECC controller in their SSDs.